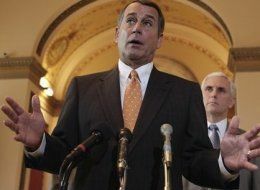 Nov 5 2010 - WASHINGTON: Republican lawmakers who now control the US House of Representatives said on Thursday that they would try to prevent President Barack Obama from withdrawing American troops from Afghanistan as he planned. Congressman Buck McKeon, who will now take over the House Armed Services Committee from the Democrats, has also announced his party’s plan for Afghanistan and Iraq. He said that under the Republicans the committee’s top priority would be to continue the US military presence in Afghanistan. Mr McKeon pledged to work directly with Gen David Petraeus, the US commander in Afghanistan, to commit more equipment and resources to the war effort. The Republicans also vowed to adopt a National Defence Authorisation Act for Fiscal Year 2011 to provide more funds for US troops. Upon taking office in 2009, President Obama quickly established Afghanistan as his war, dramatically escalating the US presence there. The Republicans strongly supported him on the issue but disagreed with a plan he announced later to start a gradual withdrawal of US troops from Afghanistan from July 2011. “You cannot tell the enemy when you’re leaving, when you’re in warfare, and expect your strategy to prevail,” said Senator John McCain, the 2008 Republican presidential candidate. In Tuesday’s midterm elections, the Republicans captured 243 out of 435 seats while 192 went to the Democrats. The Republicans increased their strength in the Senate too, seizing 47 seats. Although the Democrats maintained their majority in the 100-seat Senate by retaining 52 seats, they did so because only 37 seats were up for election.